For the first decade of his coaching career Jeremy worked with swimmers at nearly every level. He coached State, Conference and National record holders as well as USA Olympic Trials qualifiers. In 2010 he changed focus to ultra and multi-sport athletes. He has coached many individuals to first-time finishes at distances including RAAM and 50-100 mile runs. His athletes have qualified for Ultraman, Ironman and 70.3 World Championships as well as athletes moving up to the Professional field. Jeremy has spent 25+ years as a swimmer, runner and multi-sport athlete, and has coached swimmers, runners, cyclists and multi-sport athletes for the past 15 years. He holds degrees in English (BA, University of Kansas), History (BA, University of Kansas), and Education (MS, Sacred Heart University). Jeremy is a certified as a triathlon, run and swim coach with TrainingPeaks, USAT, USATF and ASCA. Jeremy currently splits time between Poland, Hawaii and Virginia coaching with Way2Champ, an elite multi-sport coaching company, based out of Poland. He leads the professional development for all Way2Champ coaches and leads their international camps program in addition to coaching a small group of clients individually. 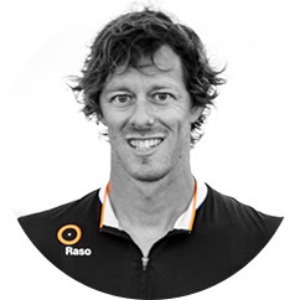 His philosophy on training and coaching is from a holistic and data driven approach, paying equal attention to the nutritional and psychological aspects of performance, strength and mobility, technical considerations, as well as threshold, VO2 and aerobic development. His small roster of athletes allows him to maintain a strong individualized focus on each athlete. He works with each individual to maximize their time and recovery, enhance their strengths and strategy, while developing all skills and endurance. As such he is keenly interested in emerging research on the differences between coaching men and women as well as the psychological components of performance and how to train them individuals effectively. Success. Coach Jeremy Howard has been notified of your message.